Shirts With Random Triangles: South Carolina Gets 2017 Commitments From 3-Star Prospects Shawn Smith and Kyshaun Bryan On Saturday. Smith committed first, announcing his commitment to South Carolina on Twitter. 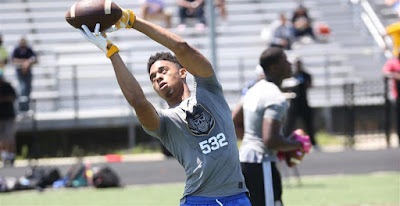 247Sports grades Smith as a composite three-star athlete. The website ranks Smith at no. 33 among athlete prospects for 2017, at no. 46 among 2017 prospects from the state of Georgia, and at no. 480 among 2017 prospects nationally. Smith attends Brunswick High School in Brunswick, Ga. He stands 5'11, and weighs 180 lbs. Kyshaun Bryan. Image via miamiherald.com. Bryan announced his commitment to the Gamecocks a couple of hours later, also on Twitter. 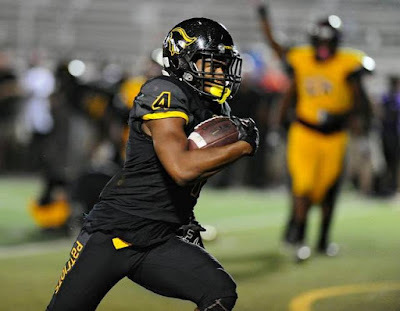 247Sports grades Bryan as a composite three-star running back. The recruiting site ranks Bryan ay no. 25 among 2017 RB prospects, at no. 55 among 2017 prospects from the state of Florida, and at no. 397 among 2017 prospects nationally. Bryan attends St. Thomas Aquinas High School in Ft. Lauderdale, Fl. He stands 5'10, and weighs 190 lbs. The additions of Bryan and Smith give South Carolina eight commitments to its 2017 recruiting class.